What Are These Plugins For? 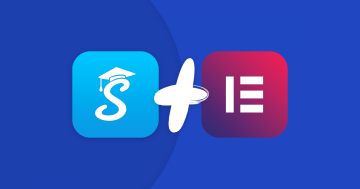 The free Elementor, Page Builder by SiteOrigin and Beaver Builder plugins being compared here allow you to create custom content designs for your WordPress website, all without having to write or edit a line of code yourself. 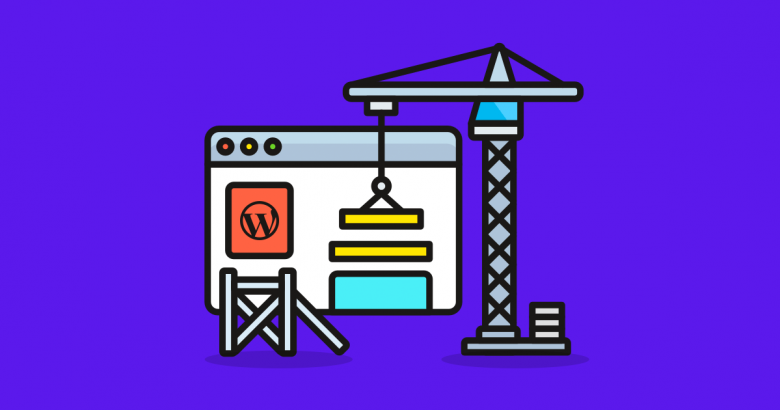 In just a few clicks the default WordPress editor is transformed into something that wouldn’t look out of place in a modern web design software application. Not only can you create custom page layouts, but you can then populate them with useful modules and widgets, while also having full control over the style and appearance of your content. If that sounds appealing, read on to find out which tool is right for you in our best free WordPress page builder plugins comparison. Elementor is quickly growing in popularity and is an impressive freemium page builder plugin for WordPress. With a good selection of widgets and page templates in the free version, Elementor is certainly competitive. So let’s find out if it should be your page builder plugin of choice. 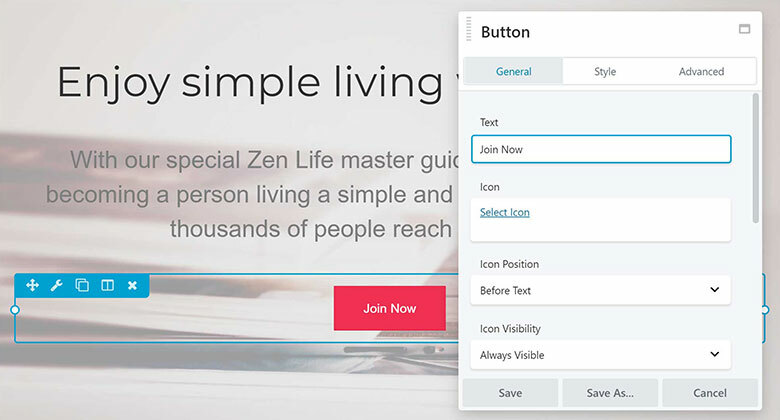 After hitting the Elementor button on the WordPress Editor screen, the user interface is transformed into a front-end drag-and-drop page builder. Elementor uses row and column structure to help you create advanced page layouts. You can then drag and drop any of the elements into your page layout before customizing their content and appearance. After clicking on a page element, the settings for that item are instantly displayed in the Elementor sidebar. The Elementor sidebar settings and options give you a lot of control over how your page elements and components look, including the ability to apply custom animation effects to them. One of the most impressive features of Elementor is that you can enter and edit text directly in the page design. 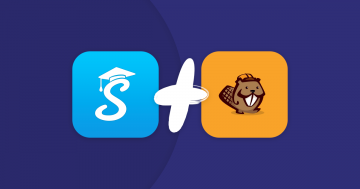 There’s no need to type into a side panel or pop-up window as is the case with Beaver Builder and Page Builder by SiteOrigin. Inline text editing helps speed up the workflow by removing unnecessary steps from the design process. When it comes to widgets, you have plenty of options for adding useful elements to your page. As mentioned, the widgets can all be customized in many ways to ensure they work well with your overall page design. Upgrading to the paid version of Elementor unlocks even more modules and widgets. However, there’s also a selection of free third-party add-ons for Elementor that are worth checking out. Again, when it comes to page templates, Elementor doesn’t disappoint. The library is well stocked with impressive designs that cover a range of styles and projects with homepages, landing page designs, and templates for the other pages your site is likely to need. Once you’ve imported a template into your page, it can be easily customized through the intuitive Elementor front-end interface. Seeing how your page design will look on a smartphone or tablet is easy too, thanks to the viewport previews. With over 2 Million active installations, Elementor might be as widely used as Page Builder by SiteOrigin. However, according to the download stats for these plugins, Elementor was downloaded over 470,016 times last week (at the time of writing) compared to the 254,642 times Page Builder by SiteOrigin was downloaded. Out of the three pages builders, Elementor has the best growth in users which could indicate that it’s the page builder plugin that’s least likely to be abandoned in the future and could even become the most popular option available. When it comes to user ratings Elementor has an impressive number of five-star reviews and a near perfect 4.8 out of 5 star average score. Elementor combines a large selection of useful modules with an impressive library of page templates, all wrapped up in a user friendly interface. There are active Elementor communities on Facebook, including a large official group. Intuitive front-end drag-and-drop user interface with inline text editing. 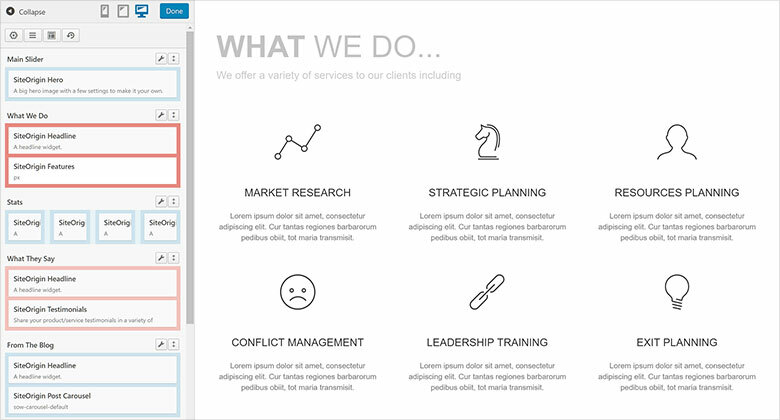 Competitive selection of widgets and page templates. History browser for easy undoing and redoing actions. Third-party plugins add more widgets to the already useful selection. Paid page templates are mixed in the with free designs in the template library. Page Builder by SiteOrigin is the free WordPress page builder plugin with one of the most active installations. It’s also one of the most well-established WordPress plugins with over 22 million downloads so far. To help you decide if this is the best page builder plugin for you, let’s begin with a quick look at its user interface and experience. Once Page Builder by SiteOrigin is active on your WordPress website, you can click on the new tab on the WordPress Editor to start using the plugin to create custom designs. When starting a new page design with this plugin, you can begin by adding a new row or widget to your layout or importing one of the pre-built page templates. Like many other WordPress page builder plugins, rows and columns are used to create custom layouts with Page Builder by SiteOrigin. Combining multiple rows and columns allow you to create advanced layouts for your WordPress content. The display properties of these rows and their columns can be easily customized. Page Builder by SiteOrigin has lots of useful presets to help you along the way, including those that can help you quickly create row layouts that are aesthetically pleasing. Once your layout is starting to take shape, you can add widgets to your design to start populating it with content. Again, like the rows and columns, the widgets can be easily customized. After activating the optional free SiteOrigin Widgets Bundle plugin, you can insert a wider range of useful elements into your page layouts. Buttons, calls-to-action, Google Maps, image sliders, and pricing tables are just some of the widgets you can add to your page designs with Page Builder by SiteOrigin and its add-on plugin. There are also other free third-party widget plugins for this page builder, giving you even more options for adding modules to your custom page designs. Once you’ve added a widget to your layout, you can customize it through the pop-up window. As you add more widgets to your layout, you can drag and drop the items into position to quickly adjust the page design. As you can see, by default the work takes place in the WordPress dashboard area of your website. However, with Page Builder by SiteOrigin you can switch to the Live Editor view to get a better idea of how your page design looks. The Live Editor mode does make it easier to see the design of your custom page layout. However, you still have to edit the content through pop-up windows, rather than interacting with the elements directly like you can with Elementor, and to a lesser extent, Beaver Builder. As mentioned, Page Builder by SiteOrigin includes a good selection of pre-built page templates. These designs can be imported into the editor and then customized through interface. 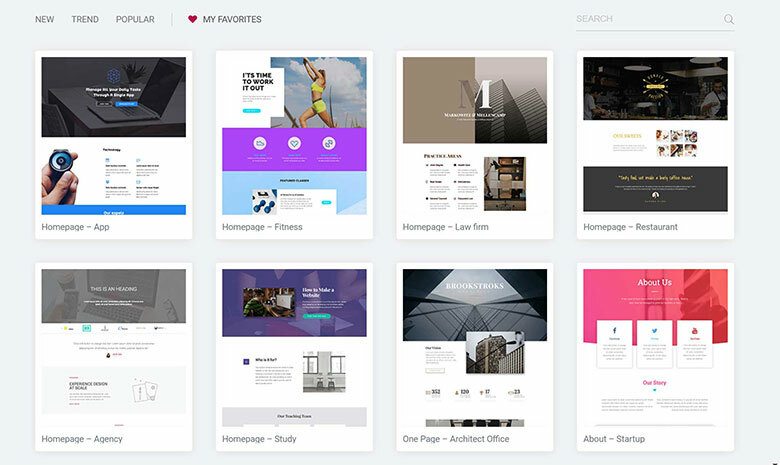 The Page Builder by SiteOrigin template library includes homepage designs, about and contact page layouts, and other content sections that can be combined to create custom layouts. When choosing a page builder plugin, it’s highly recommended that you pick one that has templates you’ll want to use for your project. How Popular is Page Builder by SiteOrigin? With over 1 million active installations, Page Builder by SiteOrigin is one of the most widely used free WordPress plugin of its type. However, newer options like Beaver Builder and Elementor are outperforming Page Builder by SiteOrigin when it comes to recent downloads. That’s not to say you shouldn’t choose Page Builder by SiteOrigin but it does signal it’s no longer the only highly popular page builder available today. When it comes to user ratings, Page Builder still has a good score with an average of 4.8 and 874 five-star reviews. Support questions can be posted in the appropriate forum on the WordPress.org website, however, the team is most active in their own forum on the SiteOrigin website. Overall, Page Builder by SiteOrigin is easy to use and has useful page templates and widgets. However, newer page builder plugins like Elementor and Beaver Builder offer more intuitive user interfaces and more efficient workflows. The free version of Beaver Builder might be lacking some of the features of the paid upgrade, however, you still get access to the same intuitive front-end page builder interface that’s helped make this tool so popular. Let’s explore some of the best features of the free Beaver Builder plugin so you can determine if it’s the right tool for your next project. Beaver Builder displays a tour to give you a quick overview of the main features of the page builder. Once you’re ready you can start by dragging a row layout or module onto the page area. Like the other plugins in this free page builder comparison, Beaver Builder uses the row and column system so that you can create advanced layouts for your content. You can also drag and drop elements into position to streamline the process of creating a custom page design. Once you’ve added a module or widget to the page, its control panel is automatically displayed removing the need for you to find and click the right edit icon. This is another way that Beaver Builder helps speed up your workflow, while also saving space. As you’ve probably noticed, unlike Page Builder by SiteOrigin, Beaver Builder features a front-end user interface. Thanks to this, you’re always working on an accurate representation of your page design, rather than in the WordPress dashboard area. Content is edited through the movable pop-up panels, rather than directly on the page. But this still gives you a view of your design, ensuring you can see what effect your changes are having. While the front-end page builder interface is a plus for Beaver Builder, its small selection of modules or widgets doesn’t compare favorably with Page Builder by SiteOrigin or Elementor. However, like the other page builders compared here, you can add WordPress widgets to your page layouts. Another area where the free Beaver Builder plugin is lacking is the absence of page templates. There are some free third-party add-ons that provide a few extra modules. But if you want access to a competitive set of templates, you’ll need to upgrade to the paid version of Beaver Builder. The front-end Beaver Builder user interface is very well designed easy to use. 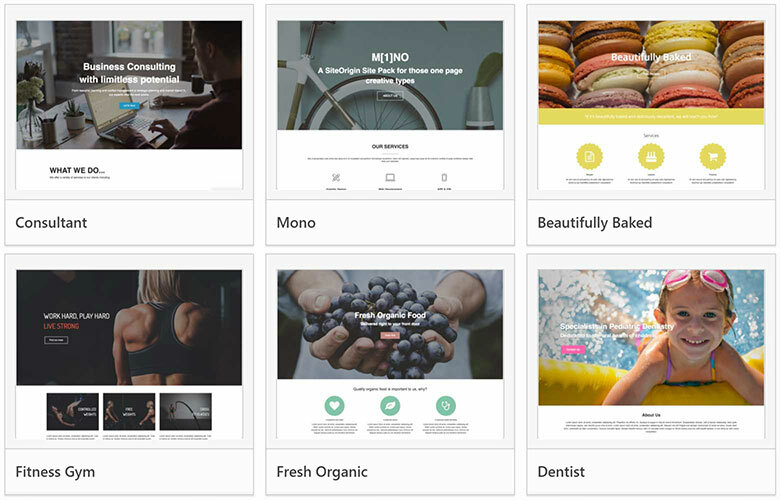 But the lack of modules and templates mean you can do a lot less with this page builder than the competition. If you’re new to Beaver Builder the Beaver Builders Facebook group is great resource. 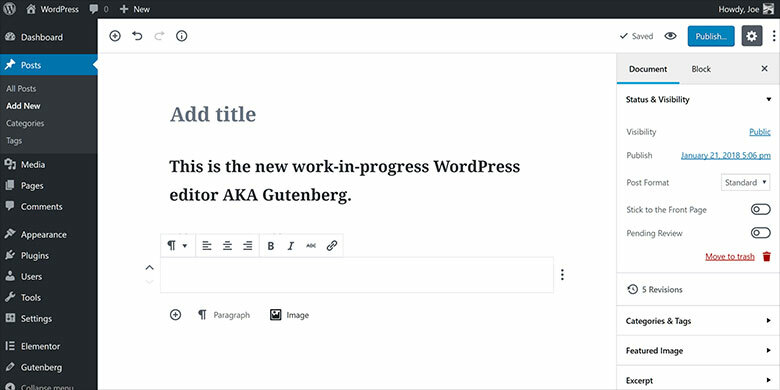 Gutenberg is the new visual editor for WordPress. 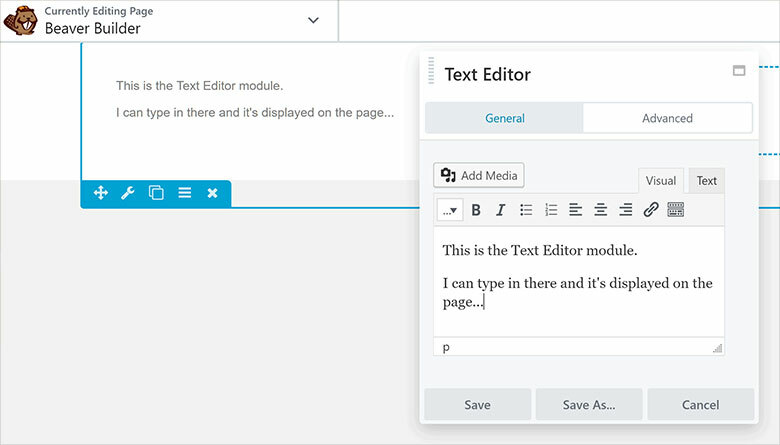 The goal for the new WordPress editor is to improve the content editing experience and give users more control over their posts and pages. All content consists of blocks and Gutenberg has many different types of blocks like a Heading or Paragraph block. Besides that, you can add Gutenberg slider to your page using the Smart Slider 3 content block. But can Gutenberg compare with the page builders? While with Gutenberg you have a lot of design possibilities, it can’t fully replace the page builders like Elementor. Gutenberg is a good substitute for basic content and layouts, but with a page builder you have more control over the design of your website. But you don’t necessarily need to choose only one, you can use the Gutenberg editor for daily designs and a page builder for more complicated jobs. If you’re wondering if these popular free page builders work with Smart Slider 3, the good news is they are fully compatible with our slider plugin. 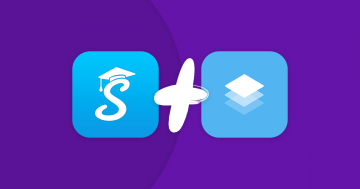 In fact, you can see just how easy it is to add our feature-rich sliders to your custom page designs in our guides to using Smart Slider 3 with Elementor and with Beaver Builder. If you’re looking for the best free tool for creating custom content designs for your WordPress website, Elementor is hard to beat. Out of the three WordPress page builder plugins being compared here, Elementor has the best selection of widgets and page templates. Although Elementor does have an impressive front-end interface with inline text editing, some readers might prefer the slick minimalism of the Beaver Builder editor or the wireframe approach of the Page Builder by SiteOrigin plugin. Thankfully, these three high-quality tools are free to use, so why not give them each a try. However, if you don’t have time to experiment and have no plans to upgrade to the premium versions anytime soon, Elementor is probably the best option. Which free WordPress page builder plugin will you choose; Beaver Builder, Elementor, or Page Builder by SiteOrigin? Let us know in the comments below! Joe is a freelance writer who specializes in creating content for web designers, online business owners, and bloggers, especially those using WordPress. When he’s not keeping up with the latest design trends and other developments from the online world, he’s busy spending time practicing jiu-jitsu, and figuring out how to take a good photo.